The first week of November was rough. I came down with a virulent strain of English cold that involved sleeping poorly, mild fever, a runny nose, congestion, a hacking cough, and remarkably low energy levels. Of course, the first week of November was also when I had elected to embark on my inaugural visit to “the north” and attend a workshop at the University of Sheffield. The workshop was focused on scoring entheseal changes. Entheses (singular: enthesis) are attachment sites of musculoskeletal soft tissue (i.e. tendons, ligaments, muscles, joint capsules, and nail beds). Entheseal changes, therefore, are any deviation from normal entheseal anatomy. I was curious about learning a new scoring method because bioarchaeologists have used entheses to explore differences in activity between groups, between populations, and over time, though the correlations between activity and specific entheseal changes are still contentious. Katy Meyers Emery has a helpful run-down of this topic on Bones Don’t Lie if you’re looking for more detail about recent research and current debates. and making a quick foray into Beer Central, Moor Market’s amazing beer stand. After a mere thirty minutes outside of the apartment, I retired for an evening of Netflix, soup, and about eighteen cups of herbal tea. Fortunately, I had most of the morning to recuperate before heading to the workshop itself. The workshop was run by Charlotte Henderson, a postdoctoral researcher at the University of Coimbra, who was trained at the University of Durham. She began by giving a general lecture on entheseal changes, followed by a lecture explicitly focused on the new Coimbra method for entheseal changes, a scoring system which she helped to develop. Unfortunately, entheseal changes also don’t correlate with the cross-sectional geometry of long bones, which is another method that bioarchaeologists use to understand activity patterns. Henderson underscored that one approach to mitigate some of these etiological issues is to examine intra-individual asymmetry in entheseal changes. She indicated that the utility of the method is in its ability to identity activity changes using big data, for example, comparing hunter-gatherers and agriculturalists over the course of the agricultural transition. Henderson highlighted the new Coimbra method as having been developed to understand (1) what’s causing these changes, and (2) have a standard system developed out of clinical literature. Me in the throes of my disgusting cold, attempting to interact with the other workshop participants. For the next part of the workshop, we broke into small groups to practice scoring entheseal changes, focusing on the attachment site for the subcscapularis m. (proximal humerus), and biceps brachii m. (proximal radius). Each enthesis was divided into two zones. For Zone 1, we scored bone formation and erosion. For Zone 2, we scored textural change, bone formation, erosion, fine porosity, macro-porosity, and cavitation. We started out using trays of labelled bones that had already been scored previously, with an Excel spreadsheet containing each of the scores projected onto the screen so that we could check our assessments. As with most other qualitative visual scoring systems (e.g. scoring the pubic symphsis or auricular surface), it took awhile to get the hang of the new Coimbra method. I wound up talking through many of my decisions with other people at my table, and Charlotte helpfully came by every so often to help us navigate the particulars of scoring a specific bone. What became clear is that in order to score these entheseal sites rigorously you need to deeply understand the parameters of the ‘normal’ morphology for each area to distinguish regular variation from true entheseal changes. I doubt I’ll use the method myself, both because two hours was an insufficient amount of time for me to learn how to confidently score these kinds of changes, and because the material I work with is often so fragmentary that there’s no guarantee you will have a sufficient number of the same anatomical regions preserved to compare entheses across individuals or between burial populations. However, I’d never been taught any entheseal scoring method in the past, and now I feel confident to explain the gist of the method to students. Charlotte mentioned that one of her aims for running these workshops was to teach the method more widely so that some of those “big data” analyses are possible. In that I think she succeeded, as one of the researchers at my table was a PhD student at UBC who had flown all the way from Vancouver just for the workshop. Overall I found the trip highly informative. It illustrated some of the differences between the detailed methodological focus of many UK osteoarchaeologists relative to the broader and explicitly anthropological approach taken by US bioarchaeologists. I’ll be keeping my eye on the entheseal literature over the next few years in the hope that clinical soft tissue studies reveal more definitive etiological links between muscle use, activity, and entheseal changes. I’ll also be on the lookout for some of those ‘big data’ papers that Charlotte referenced. Until then, it’s time to celebrate my recovery with some of the local beverages I brought back from Moor Market! Image Credits: Exhausted puppy from Bark Post, here. 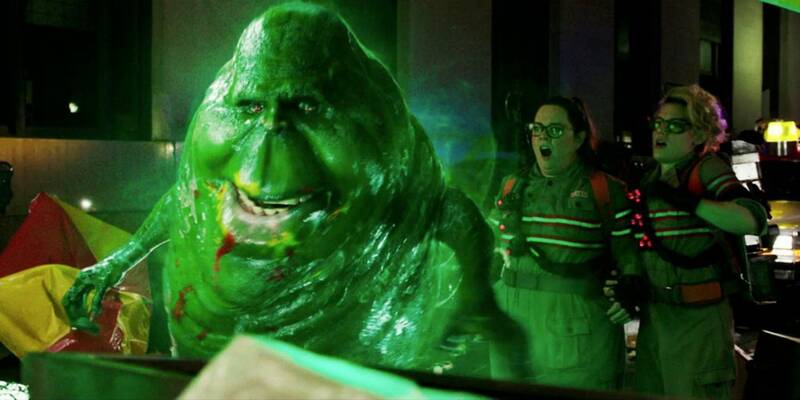 Photo of Slimer found at wired, here. New Coimbra method logo from CIAS: Research Centre for Anthropology and Health, here. This entry was posted in Bioarchaeology, Travel and tagged Coimbra method, Entheseal Changes, Entheses, University of Sheffield. Bookmark the permalink. Ah fantastic! I attended the same workshop in Sheffield a few years ago now, found it quite useful. Never did write up my blog post though… Hope you had a fun time in Sheffield. It was certainly a thought-provoking session and I really enjoyed it, but it had me thinking about how it was a timely analysis to do. After chatting with a few friends who have done/do skeletal reports in a quasi commercial sense for research excavations or local societies, this just isn’t a method they’d include due to how nefarious the interpretations can be.